Mercaz Harav Yeshiva head Rabbi Yaakov Shapira talks about awakening European Jewry, expressing hope it leads them to immigrate to Israel. 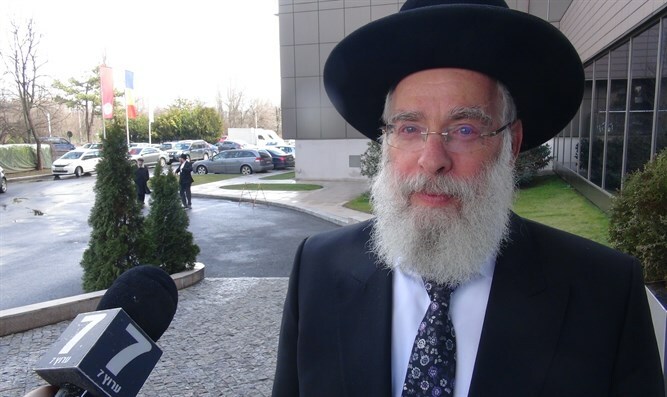 Mercaz Harav yeshiva head Rabbi Yaakov Shapira is currently taking part in the annual conference of the Rabbinical Center of Europe being held in Romania, dealing with current burning issues facing rabbis on thecontinent.. He told Arutz Sheva about the experience. "I was pelasantly surprised by the many things that are being done in European communities. There are symptoms that show a Jewish awakening despite the sharp manifestations of anti-Semitism, and I hope this awakening will bring them to the Land of Israel." On the relationship between the IDF and the national-religious public, Rabbi Shapira says, "There are worrying issues, but we have to be strong and not get caught up in media reports. One has to choose one's words very carefully." 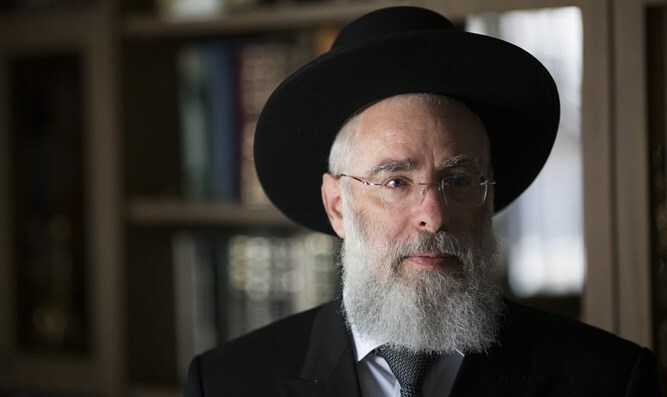 The rabbi was also asked about his attitude toward the Tzohar rabbinic organization's just announced alternative, outside the Israeli Chief Rabbinate, kashrut initiative. "I think what's being done here [by Tzohar] has passed a red line. If we want to achieve positive results on the various halakhic issues facing our country, we must work together and not break away separately." "An alternative to the Rabbinate? As the representative of Rabbi Kook and Mercaz Harav Yeshiva, we will not allow any move that would lead to weakening the Rabbinate under any circumstances," concluded the rabbi. Rabbi Avraham Yitschak Hacohen Kook was Israel's first Ashkenazic Chief Rabbi and created the framework that made the Chief Rabbinate one of the government institutions to be established in the Jewish State. It is responsible for marriage and divorce by Jews, kosher certification and other public symbols of Judaism that characterize the country as Jewish.